Kuala Lumpur, 15th October 2018 – Soft Space Sdn. Bhd., Asia’s leading financial technology company, has signed a memorandum of understanding (MoU) with Jewel Paymentech Pte. Ltd., a financial risk technology company, aimed at combining the technological strengths of both companies through the use of open application programming interfaces. 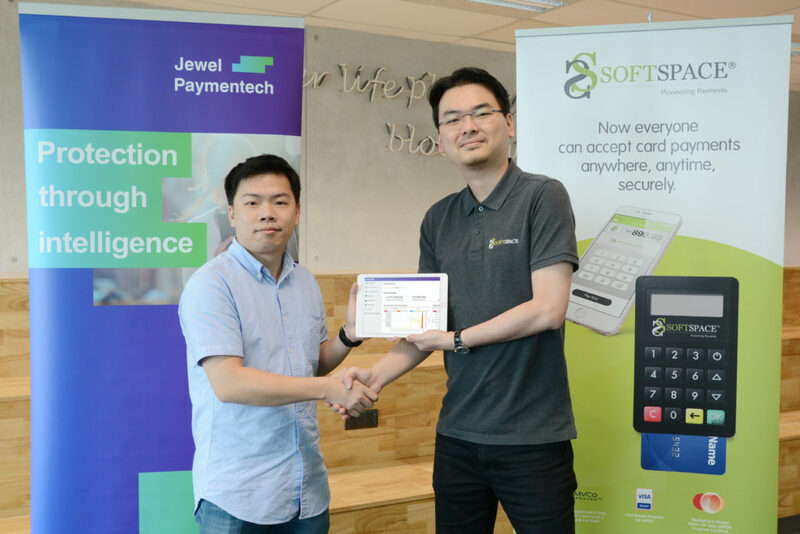 Soft Space is a leader in the development of innovative mobile payment technologies aimed at simplifying the complexity of digital financial transactions whereas Jewel Paymentech is a specialist in financial risk solutions for the banking and electronic payment industry. By working together, both companies will be able to leverage off each other’s strengths to advance payment technologies in Southeast Asia. Earlier this year, Jewel Paymentech forged a capital alliance with Japan’s largest payment processor, GMO Payment Gateway, that enables them to make their entry into the Japanese market. Soft Space, on the other hand, has gone through a series of investments from two different Japanese conglomerates; transcosmos inc. and Sumitomo Mitsui Card Company, and with this collaboration, they plan to work together to venture into the Japanese market hand-in-hand to boost their company’s portfolio and business opportunities. “Our payment network, payment gateway, bank and marketplace clients will certainly benefit greatly from this strategic alliance,” said Sean Lam, the Chief Executive Officer of Jewel Paymentech. “We look forward to being able to close the loop and provide turnkey payment technologies to enable safe offline and online commerce. This essentially allows any bank to become a full-fledged competitor to Stripe and Paypal,” he added. About Soft Space Sdn. Bhd. Founded in 2012, Soft Space is a leading FinTech player in the ASEAN region headquartered in Kuala Lumpur, Malaysia. Soft Space simplifies the complexity of financial infrastructures and creates value-added features for businesses to expand their business growth. With over 20 financial institutions in 11 countries adopting its solution, the company is now gravitating towards expanding into omnichannel payments that include the adoption of artificial intelligence, QR code payments, E-wallet systems and money lending schemes. In February 2018, Soft Space was ranked 66th of 1000 companies in the Financial Times ‘FT1000: High Growth Companies in Asia Pacific’ Special Report. This report highlights the top FinTech companies with the highest growth rates in the Asia Pacific region and they have been listed 2nd of 97 chosen companies in Malaysia, that highlights the potential market and growth developments that the fintech industry in Malaysia has to offer. About Jewel Paymentech Pte. Ltd. Jewel Paymentech is a financial risk technology company founded in 2014 with a mission to develop intelligent risk solutions for the banking and electronic payments industry. Jewel provides a complete suite of intelligent solutions to solve gaps in ePayment acceptance such as instant on-boarding, merchant due diligence, transaction laundering, counterfeit & illegal product management as well as transaction fraud management using predictive analytics. Based in Singapore with offices in Malaysia and Hong Kong, Jewel Paymentech currently provides ePayment AI risk management to the region’s largest banks and payment networks. 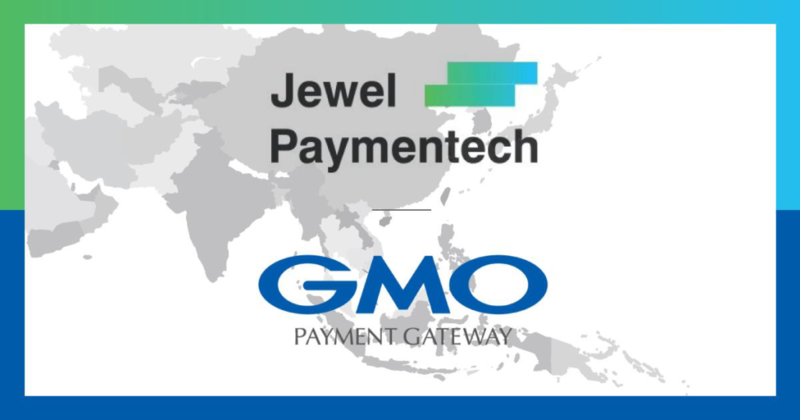 Singapore (15 March 2018) – Jewel Paymentech (“Jewel”), provider of risk intelligence solutions to payment networks, banks and payment gateways has secured Series A+ funding led by GMO Payment Gateway Pte. Ltd. (a Singapore subsidiary of GMO Payment Gateway, Inc. (TSE: 3769)). The firm’s existing backer Tuas Capital Partners Pte. Ltd. also returned to co-invest in this round. As digital payments begin to transform Asia to a cashless society, Jewel’s suite of solutions is set to tackle the different challenges faced in digital payment acceptance. These include making merchant signup instantaneous, onboarding of small merchants, allowing merchants to be more mobile across countries and making payments safer through fully automated risk technologies. This new funding will support Jewel’s market expansion plans as well as to accelerate the development of new deep learning AI technologies to facilitate the cash to cashless conversion. Based in Singapore with offices in Malaysia and Hong Kong, Jewel currently provides ePayment AI risk management to the region’s largest banks and payment networks. Jewel Paymentech is extremely pleased to welcome Mr. David Lee to our Board of Advisors. David spent 25 years in Visa International holding various senior positions including Chief Financial Officer, Chief Operating Officer and the appointment of President for the Asia Pacific Region in 2008. He then spent 7 years in Shanghai with China UnionPay as Special Advisor to Chairman & Senior Management followed and subsequently as Chief Cooperation Officer of Union International. 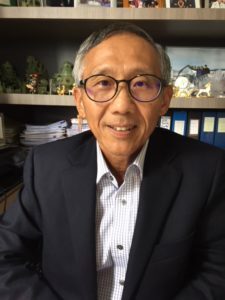 David Lee is a fellow of the Chartered Association of Certified Accountants (ACCA) and graduated from the Harvard Business School’s Advanced Management Program. Copyright © 2014 , Jewel Paymentech. All Rights Reserved.